A photograph began making rounds on Polish social media last week. The graphic stitches together two pictures, both depicting immaculate columns of young men dressed in black outfits—marching in a parade and holding identical flags and banners. 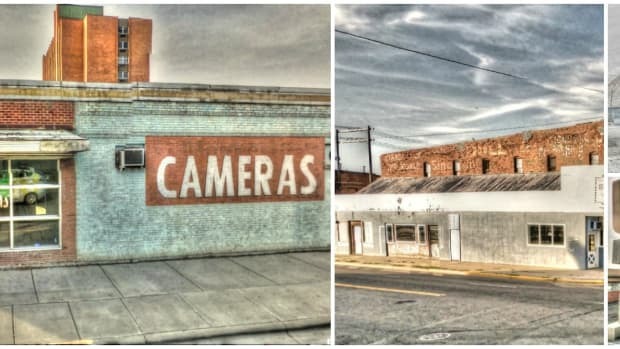 At first glance, you might believe that these photos are of the same political event. But you&apos;d be wrong. One is of a Nazi Party rally in pre-war Germany, the other of the Polish National-Radical Camp (ONR), a far-right extremist group that recently marched through the streets of Warsaw to mark the 83rd anniversary of its establishment. However, the point of this social media move isn&apos;t hard to spot—it makes clear that the populism of Europe&apos;s past threatens to become prophecy, not least in Poland, where right-wing elites are shoring up power through silent approval of these sorts of radical groups. Describing themselves as the heirs to the original ONR—an anti-semitic, segregationist, right-wing political party that enjoyed a short-lived run in 1934—Poland&apos;s young radicals paraded through the capital shouting slogans like "Death to the fatherland&apos;s enemies," "All of Poland only white," and "Work in Poland just for Poles." And despite a relatively low number of participants—only some 600 in total—the group&apos;s disciplined public showing signaled a terrifying display of power, as well as a staunch determination to "restore order in the country." 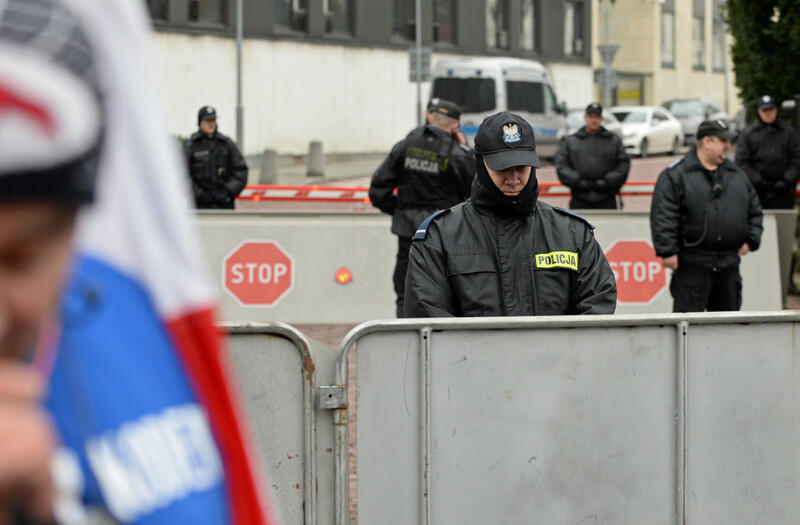 The existence of the ONR, as well as other right-wing radical groups like the All-Polish Youth, isn&apos;t a new feature of Poland&apos;s political landscape. Still, recent years have brought about an unparalleled growth in their popularity among the public. 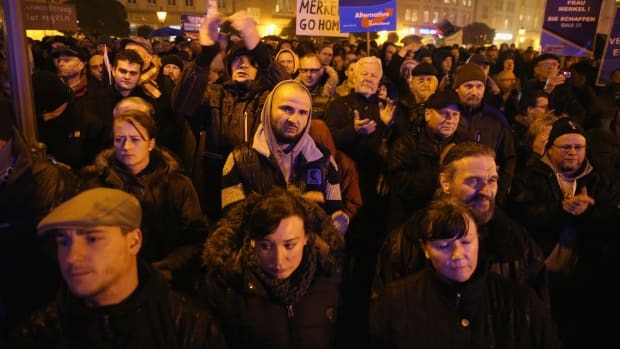 Since Poland&apos;s democratic transition in 1989, right-wing parties had remained mostly on the margins of political life, often toiling below the 5 percent electoral threshold needed to make it into parliament. 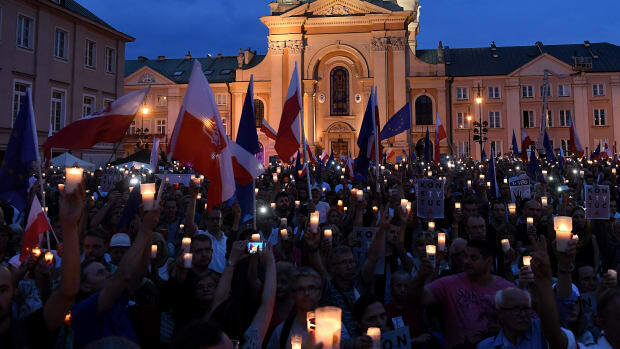 The first breakthrough, however, came in 2006, when the League of Polish Families, a partisan extension of the All-Polish Youth, joined a ruling coalition with the Law and Justice (PiS) party, which is currently in power in Poland. That government lasted all of one year in office, but when the PiS claimed a thumping victory in general elections in October of 2015, Jaroslaw Kaczynski—the party chairman and Poland&apos;s true political authority—didn&apos;t forget his extremist friends. 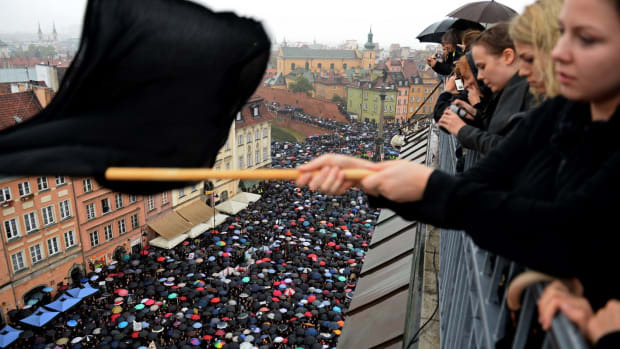 The ONR became a useful instrument for radicalizing public sentiment and deepening cleavages among Polish society—something that the illiberal PiS government couldn&apos;t act upon, or even say, outright. We can see this political phenomenon—right-wing governments siding, tacitly, with nationalist movements—outside of Poland too. In fact, you could say that Poland is imitating a model first introduced in the region by Viktor Orbàn of Hungary. Kaczynski is known to draw inspiration from the dubious achievements of his Hungarian counterpart, and the PiS government has already introduced several policy initiatives that resemble the projects of Orbàn&apos;s Fidesz party, including a new tax on banks&apos; assets, a law restricting public gathering and reshaping the financing of public media, and a crackdown on non-governmental organizations, especially those receiving foreign funding. 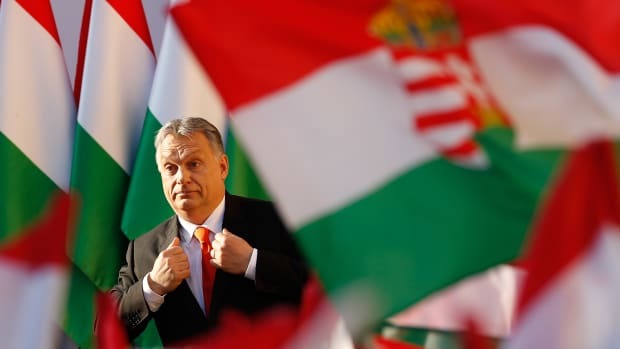 Jobbik is the only serious political force to the right of Fidesz, and while, technically, in opposition to the government (like how the ONR in Poland claims to be a critic of the Law and Justice Party), it&apos;s really an efficient tool for the government to maintain power over more centrist voters—Orbàn allowed Jobbik to march through the streets of the capital, become vocal about its agenda, and, eventually, garner significant representation in parliament, casting a shadow over the region. At least in part, the answer lies in political interest. Kaczynski uses the ONR as a vehicle for pushing a radical social narrative that serves him politically, but that he can&apos;t afford to predicate himself. For instance, the Polish government doesn&apos;t favor the European Union&apos;s refugee relocation mechanism. But advocating against the E.U.&apos;s refugee policy could alienate more moderate voters and ratchet up Kaczynski&apos;s already tense relationship with Brussels. Political radicals, on the other hand, don&apos;t need to worry about political consequences, so they rally. And the incumbent benefits. 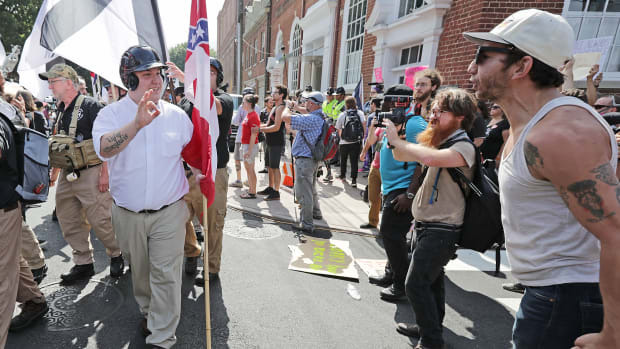 Apart from present-day political narratives, radicals also have ample political muscle when it comes to shaping memory and identity politics. In Poland, as in many countries, memory politics is key—a foundation of some political parties&apos; very identities. Through his radical anti-communism and hatred of perceived liberal compromises, Kaczynski has become a so-called "memory warrior"—an actor aspiring to gain a monopoly on people&apos;s collective memory, and for whom there&apos;s no room for historical compromise. In other words, you either accept Kaczynski&apos;s vision of Poland&apos;s past, or you&apos;re a traitor. In instances like this, peddlers of the most controversial historical narratives come in handy. For them, history is a source of identity power, and, for incumbents, a political one. What&apos;s next in this tacit alliance? Both sides seem content with the arrangement. The radicals, because for the first time in decades they&apos;ve been given a considerable platform around which to rally, and the illiberal government, because it has someone to do its dirty work (and if matters get out of hand, it can always claim it&apos;s the only actor capable of containing the far-right). Moving Poland, and indeed many parts of Europe, closer to liberal democracy as we know it will lie in breaking this insidious partnership that, slowly but surely, only legitimizes neo-fascism.